The full-court press is on from John Fetterman’s campaign for U.S. Senate. With three weeks until PA’s primaries, his campaign released a memo detailing his path to victory. 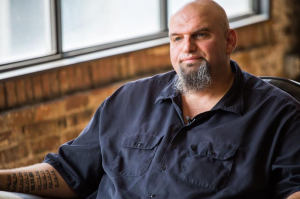 Fetterman’s campaign is “blowing up online” and has been attracting enthusiastic crowds across PA, giving the Braddock Mayor a great deal of confidence leading into his final push. Fetterman’s once-unlikely path to the nomination does not seem so outlandish anymore, with the campaign pointing to recent polls showing Joe Sestak’s numbers flatlining and Katie McGinty’s numbers slipping. The latest Franklin & Marshall poll shows Sestak with 31%, McGinty with 14% and Fetterman with 7%, though “Mayor John” thinks he is best positioned to win over the majority of the 46% undecided voters. His campaign is projecting a voter turnout of 1.3 million in the Democratic primary, and they believe his close connection to and endorsement of presidential candidate Bernie Sanders will earn him the “vast majority of down-ballot Bernie votes” in the year of the political outsider. Western PA is key to Fetterman’s shot at the nomination, with the campaign banking on the region giving him the hometown boost. Fetterman is also expecting Sestak and McGinty to split the vote in Philadelphia, where they are both from. The campaign is looking to edge the three-way race by picking up 34% of the vote (though that means Sestak and McGinty would each need to pick up 33%). 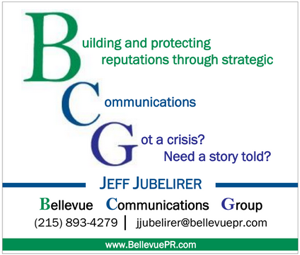 By winning 53% of the Pittsburgh media market, 25% of the Philly media market and 31% in the rest of the state, Fetterman believes he will earn a shot at incumbent SenATOR Pat Toomey in November. 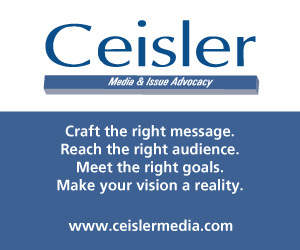 The campaign is looking to use its money wisely, spending big in the cheaper Pittsburgh media market, while Sestak and McGinty blow through cash in the Philly media market, the fourth most-expensive in the country. The memo also touts Fetterman’s grassroots momentum and his ability to reach smaller markets (putting over 30K miles on his pickup since September), with over 100 people showing up to an event in Doylestown, 80 in York and 75 in Allentown. With three televised debates between now and April 26th, Fetterman has more opportunities to connect with voters and distinguish himself from Sestak and McGinty, “another uninspiring establishment candidate” who “is looking more and more like the Arlen Specter of 2016,” the memo asserts. Fetterman crushed both of them on the debate last night. Fetterman should drop out and that would put Sestak over 50% approximately–acc. to Harper. Harper has some problems however. Who the hell is Gretchen? Gretchen, stop trying to make Fetterman happen, it’s not going to happen…. Bernie is starting to hit PA. If Bernie endorses Fetterman, that could be huge help. Yeah I’m with Jake, momentum isn’t the right word for what’s happening to Fetterman. Dead in the water sounds about right. Not sure fetterman has seen the latest harper poll but he has only 9% of the vote save your money. PA Dem, no candidate has the money to run a complete statewide campaign. McGinty is already burning through her $ taking cheap shots at Sestak in big markets. McGinty and Sestak have to fight over seniors who wouldn’t vote for Fetterman anyway. I wonder if she’ll go after Joe’s family in VA when she really gets desperate. It seems Fetterman has enough to reach the progressive voters with targeted ads not to mention he appears to be catching on with the Bernie supporters who will himself pull at least 40% of the vote. I saw a top Bernie surrogate just endorsed Fetterman. I wouldn’t bet against Fetterman at this point. Fetterman is a great candidate with no $, what a shame that nobody will ever know who he is. I thought maybe he gave up and became a full time surrogate for Bernie Sanders. It seems he’s been doing more of that than campaigning for himself.